The figures below summarize the estimated range of initial cash outlays required for starting an AllStar Wings & Ribs® franchise. Your costs could be higher or different. Your costs will depend on factors such as management, experience, business acumen, economic conditions, wages, other. 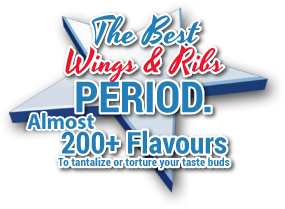 The initial investment for an AllStar Wings & Ribs® franchise also varies substantially according to such factors as site and size, and terms upon which the site is acquired. You should allow for inflation, discretionary expenditures and local market conditions, which can result increases in costs. These sums are not ordinarily refundable (except possibly lease deposits and utility deposits). Financing, if available, will be at a cost determined by market factors operating at the time of the transaction. More information and greater detail on costs will be set out in the Franchise Disclosure Document (FDD) you will receive at a later time. Financially qualified Franchise candidates should be comfortable with at least fifty (50) percent of the total investment noted above in cash, in addition to $350,000 in Small Business Loan (SBL) financing (subject to creditworthiness and bank approvals) and a term loan for the balance, if applicable. Multi-unit and Area Representative Agreements are available in select territories in Canada and the United States. Contact us for more information.